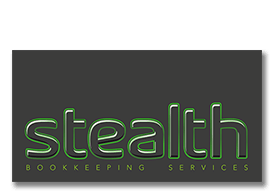 At Stealth Bookkeeping Services Limited, we’re committed to protecting and respecting our privacy. This notice explains how we collect and use personal data about you, in accordance with the General Data Protection Regulation (GDPR), the Data Protection Act and any other national implementing laws, regulations and secondary legislation, as amended or updated from time to time, in the UK (‘Data Protection Legislation’). By using our services and our website, you’re agreeing to be bound by this policy. Stealth Bookkeeping Services Limited is an accountancy and tax advisory firm. We are registered in England and Wales as a limited liability company under registration number 07391221 and our registered office is at 10 Jury Street, Warwick, Warwickshire, CV34 4EW. We may process your personal data for purposes necessary for the performance of our engagement with our clients and to comply with our legal obligations. We may process your personal data submitted to us via our websites contact forms in order to contact you regarding our services. We will only retain your personal data for as long as is necessary to fulfil the purposes for which it is collected and for which we are required to do so in line with the retention period provisions set out below. We may transfer the personal data we collect about you to the following country outside of the EEA: (e.g. the United States of America) in order to perform our engagement with you and via the use of third-party service providers. For example, we use Dropbox for cloud-based storage and therefore your data may be transferred outside of Europe. Further details on Dropbox and their security measures can be found here https://www.dropbox.com/help/security/data-transfers-europe-us and details of their GDPR compliance can be found here https://www.dropbox.com/en_GB/security/GDPR . The information which you provide to us may, therefore, be transferred to countries outside the European Union (“EU”). These countries may not have similar data protection laws to the UK. If you want to exercise any of the above rights, please email our data protection point of contact at enquiries@stealthbookkeeping.com. In the limited circumstances where you may have provided your consent to the collection, processing and transfer of your personal data for a specific purpose (for example, in relation to direct marketing that you have indicated you would like to receive from us), you have the right to withdraw your consent for that specific processing at any time. To withdraw your consent, please email our data protection point of contact at enquiries@stealthbookkeeping.com. We may change this policy from time to time so, please check this page occasionally to ensure you’re happy with any changes. This privacy notice was last updated in February 2019. If you have any questions regarding this notice or if you would like to speak to us about the manner in which we process your personal data, please email our Data Protection Point of Contact Mr Mark Harwood via enquiries@stealthbookkeeping.com or telephone on 01926 298505.